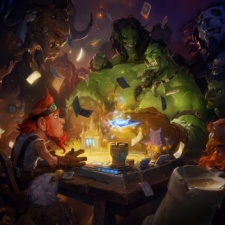 Blizzard’s free-to-play card game Hearthstone has reached 100 million registered users. That's according to publisher Activision Blizzard, who revealed the milestone over four years after the title launched. The card game has attracted 30m players in the last year alone, with its userbase standing at 70m in November of last year. The collectable spin-off launched in March 2014 with the title Hearthstone: Heroes of Warcraft, and quickly reached 10 million players within a month. Hearthstone arrived on iOS a month later in April 2014, with an Android version dropping in December of that year. In celebration, Blizzard is running an in-game event through November 7th to 11th. Players who log in will receive six packs from The Boomsday Project expansion. A new quest called Celebrate the Players will award 100 gold when completing a friendly challenge with friends, up to a maximum of 500 gold. Mobile has contributed a significant portion of the card game’s success, as Sensor Tower reports that Hearthstone Mobile revenue has reached over $660 million. “Reaching 100 million players is a huge milestone for Hearthstone, but what matters to us, even more, is the fact that so many people around the world have embraced the spirit of the game,” said Blizzard president J. Allen Brack. But Blizzard still hasn’t won its core audience over to handheld gaming. A shocking, yet expected backlash hit the company after capping off this year’s BlizzCon with the mobile-only Diablo Immortal. Four years and 70m players later: where does Blizzard's card game blockbuster Hearthstone go from here?